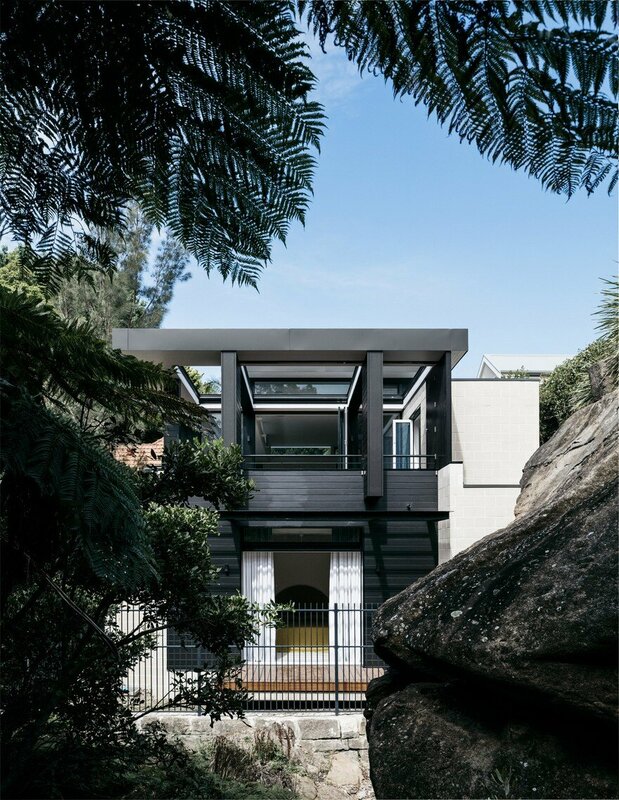 Located within Woollahra Council’s Heritage Conservation Area, this residence is perched upon a 5m heritage sandstone wall that forms part of a large bushland setting. 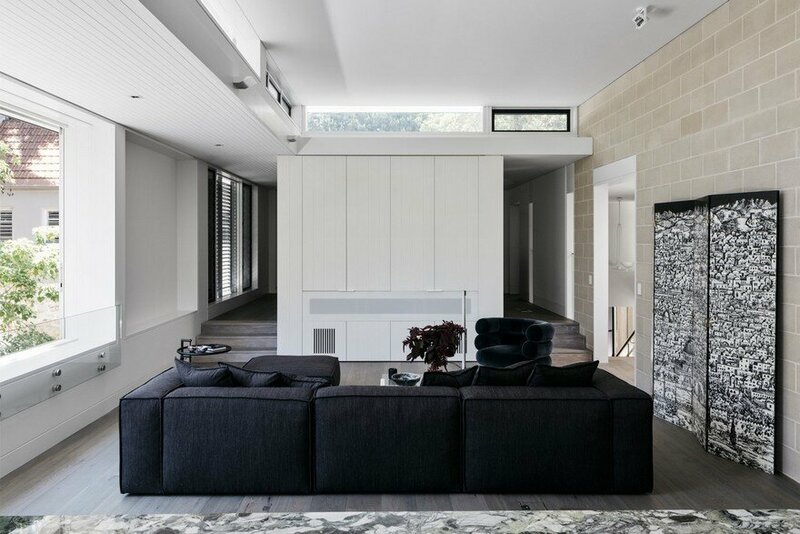 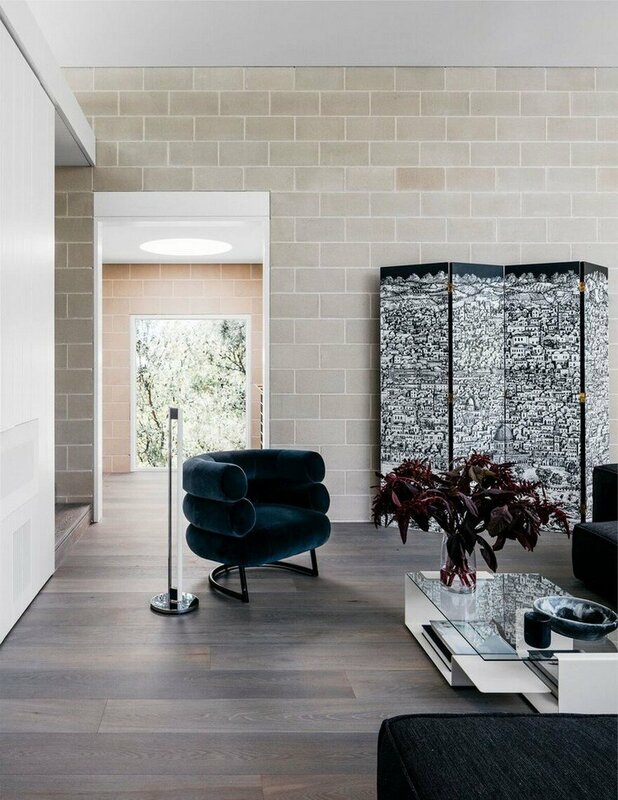 The Woollahra house has been designed as a structure that belongs to the park with its strong concrete block corner buttresses rising up from the existing sandstone base. 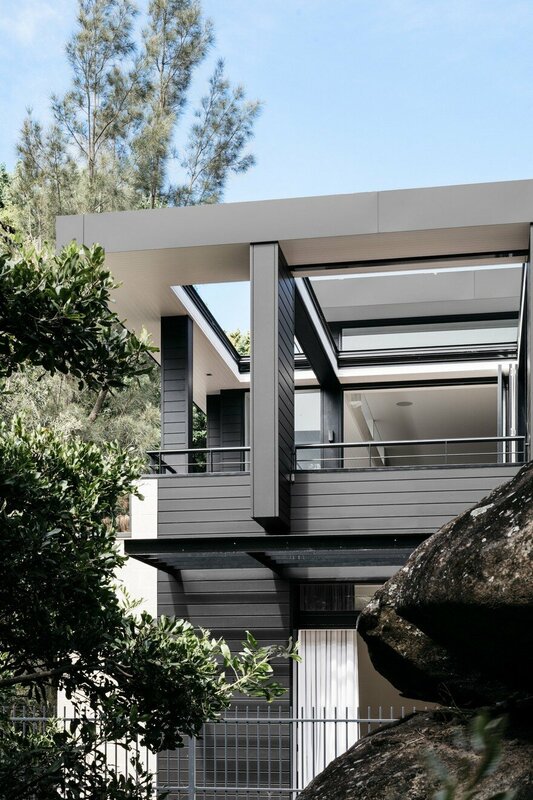 A lighter timber framework on the first floor helps to modulate and integrate the house with the park setting. 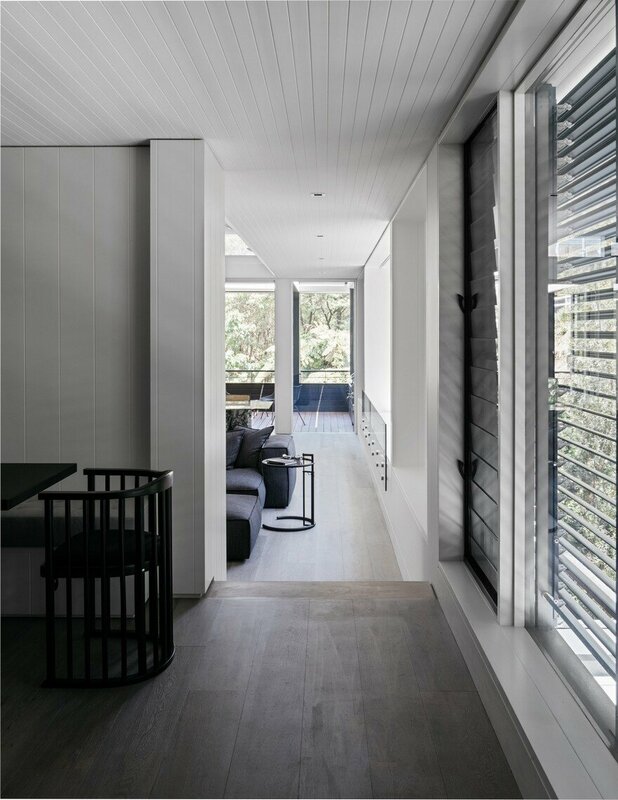 A simple palette of natural concrete block, black timber boards and windows and black zinc were chosen to integrate with the park setting and not dominate the surrounding houses. 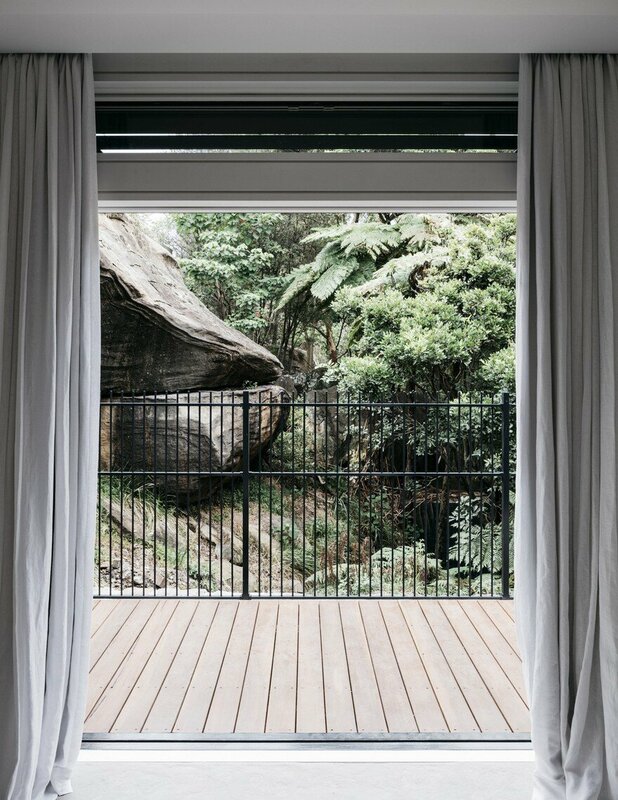 These same materials return inside to bring a greater indoor outdoor connection. 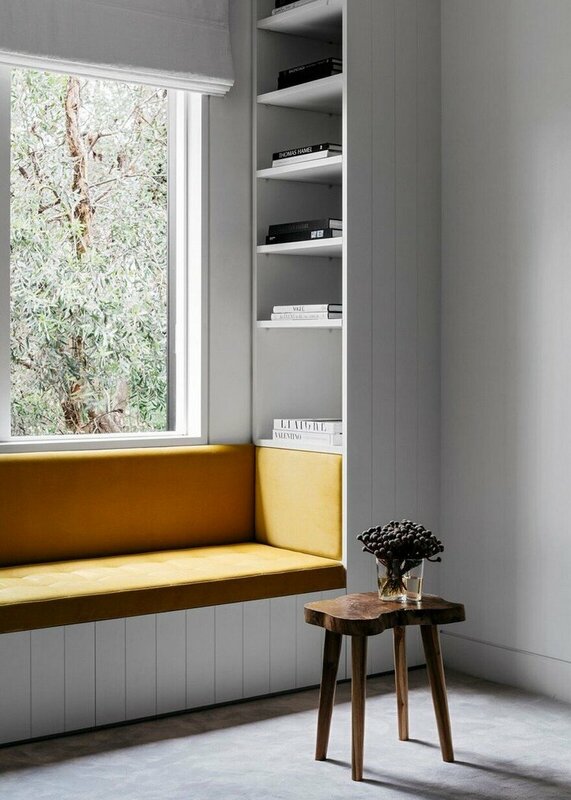 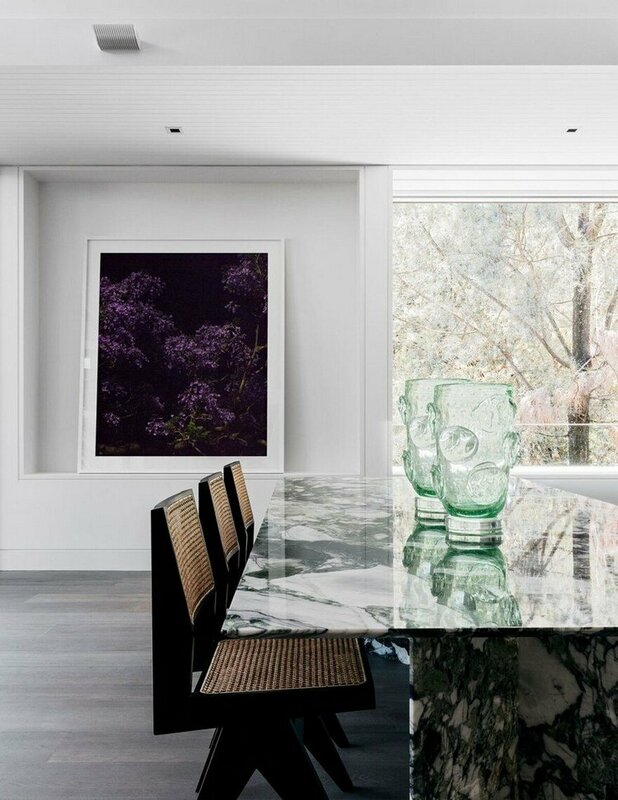 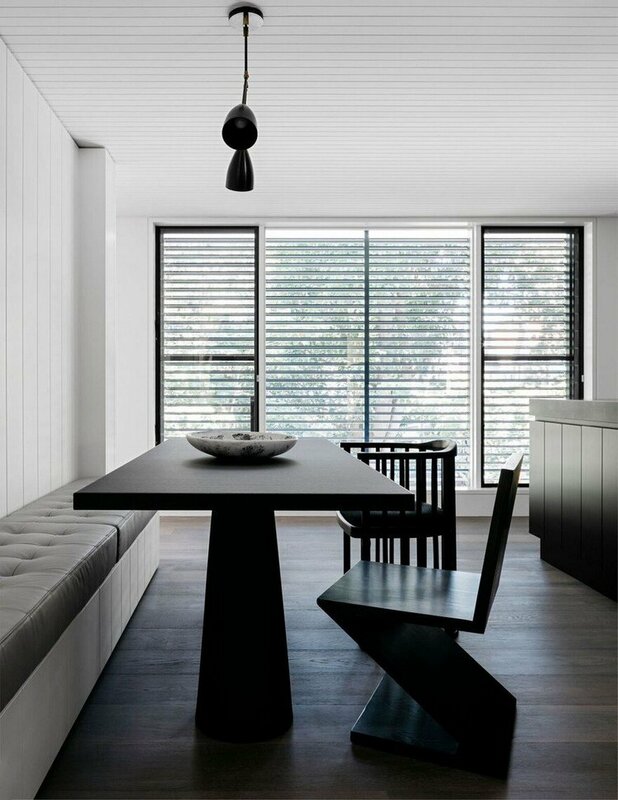 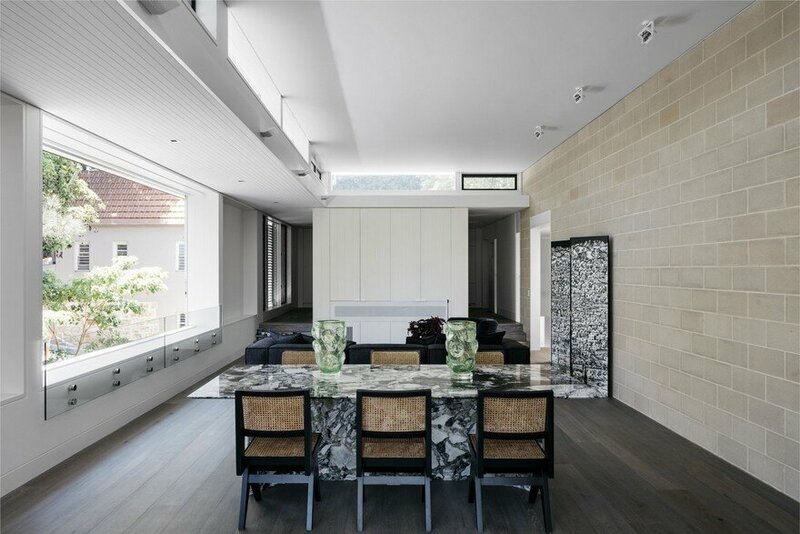 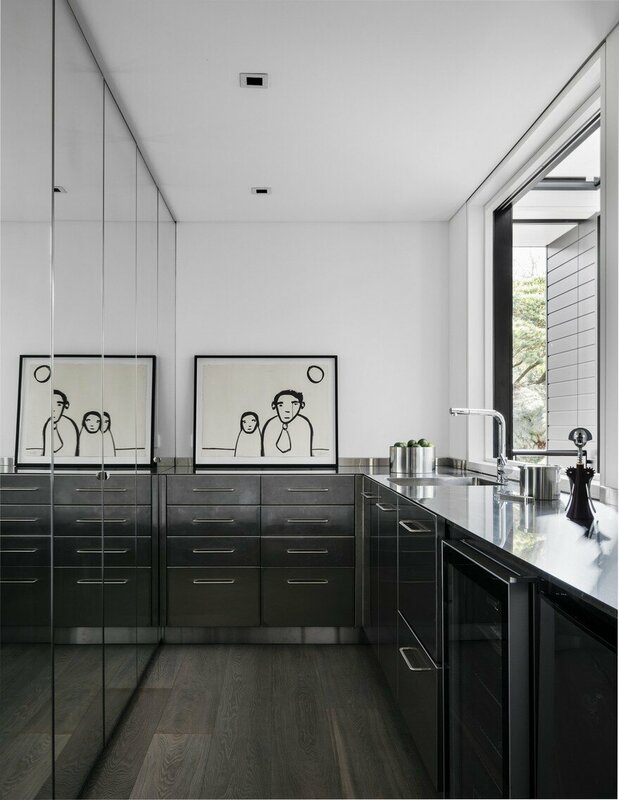 The Woollahra House is designed with two distinct areas; the service core running along the southern boundary containing entry, stairs and bathrooms; and the living core facing north containing four bedrooms on the ground floor and living, dining and kitchen on the upper level. 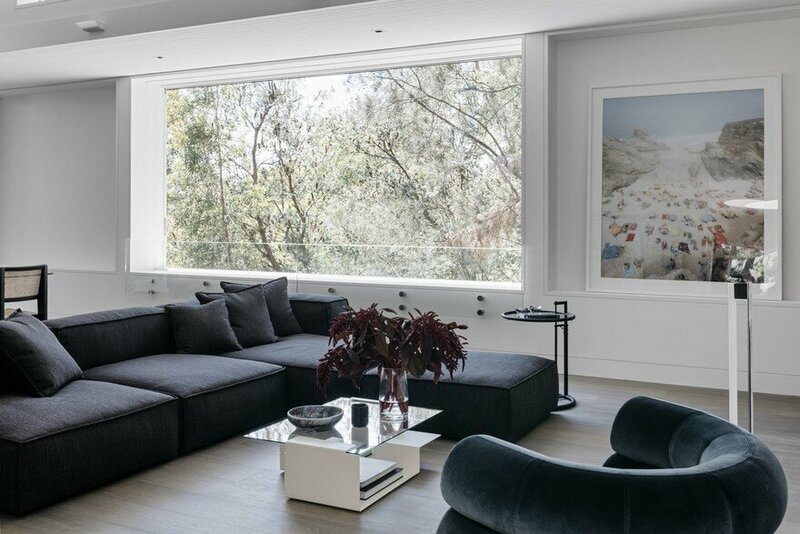 The living rooms on the first floor take advantage of the roof volume, solar access and bush views leaving the bedrooms on the ground floor to enjoy more privacy. 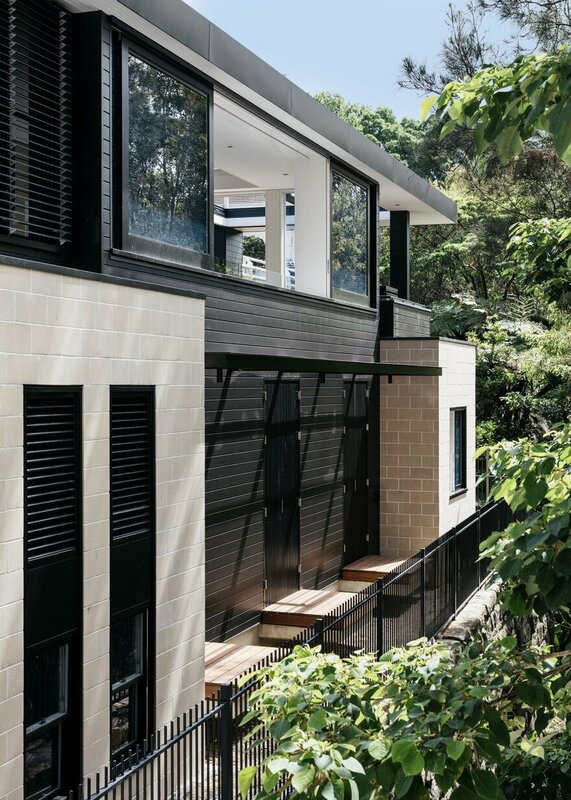 The north facing aspect and features like roof overhangs, shutters, materials used, and rainwater tanks are examples of the sustainability initiatives seamlessly integrated to reduce energy consumption. 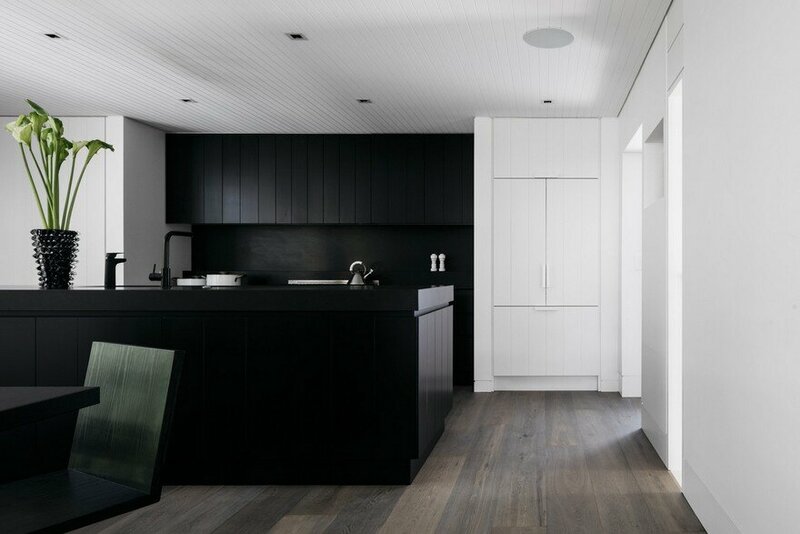 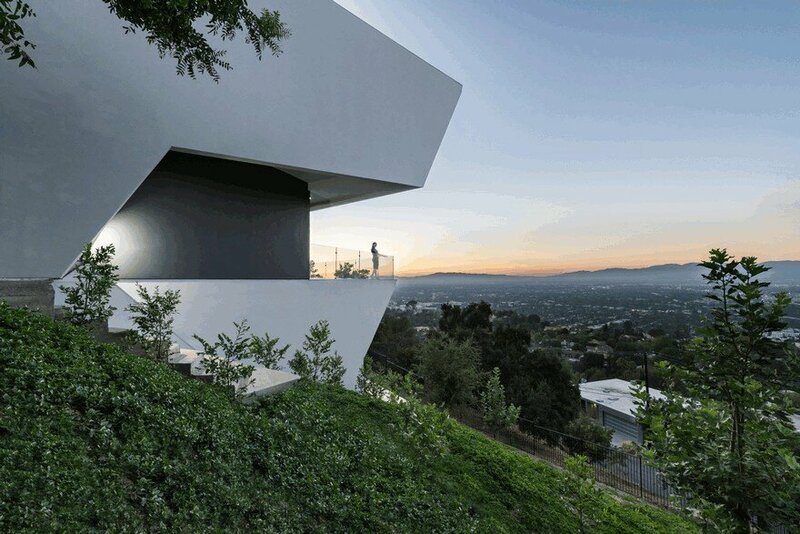 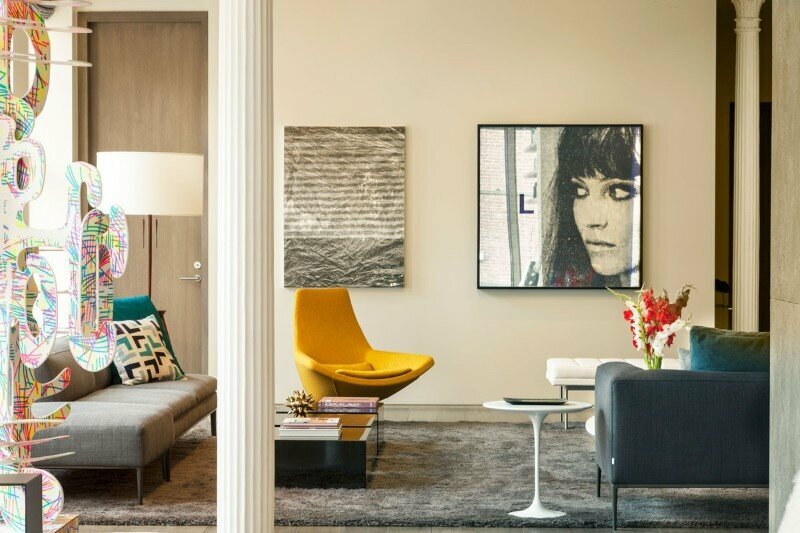 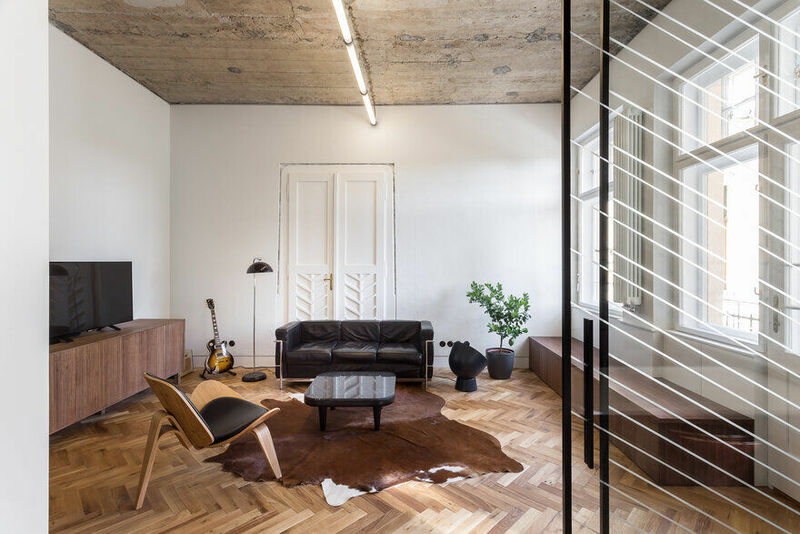 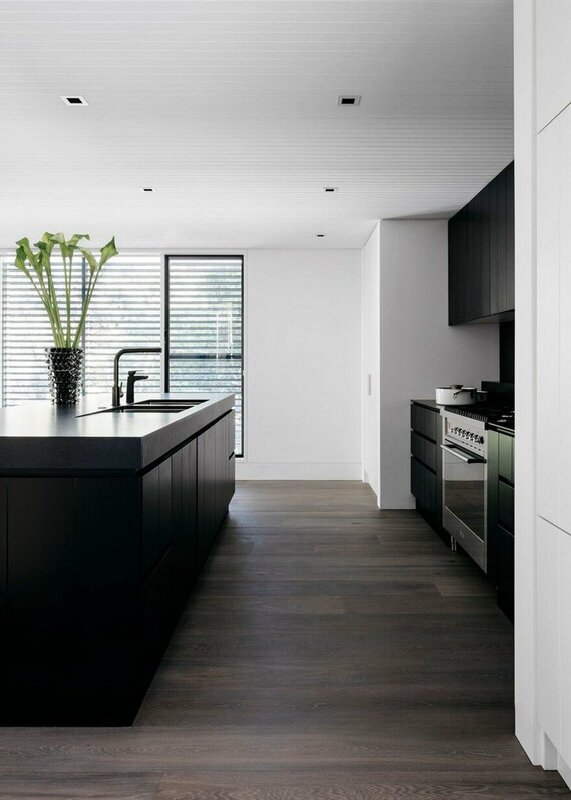 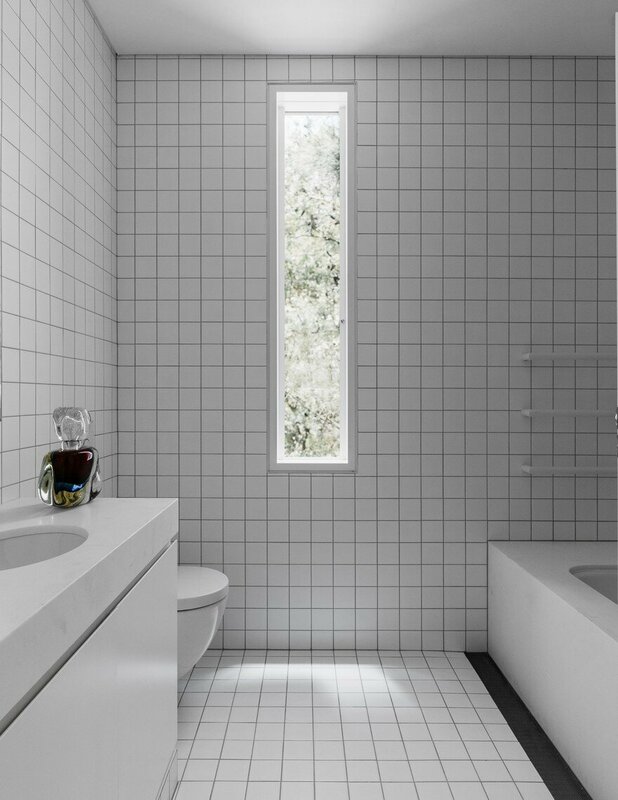 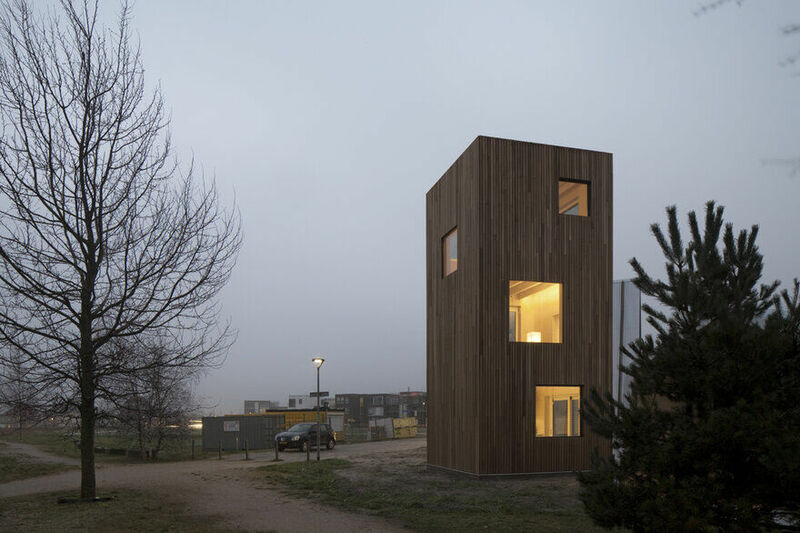 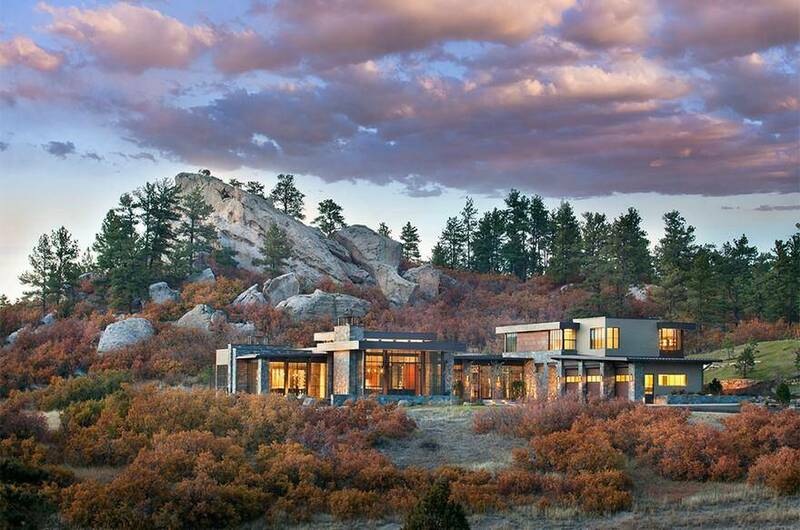 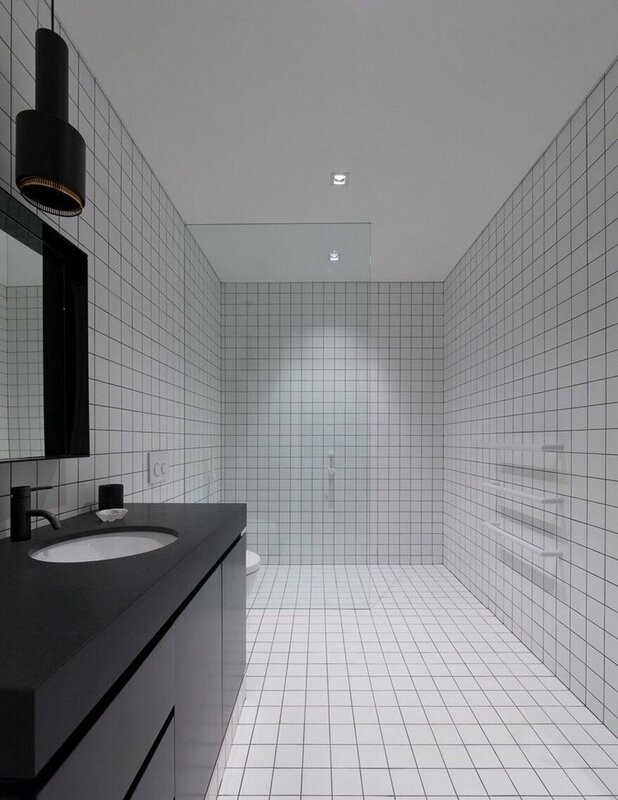 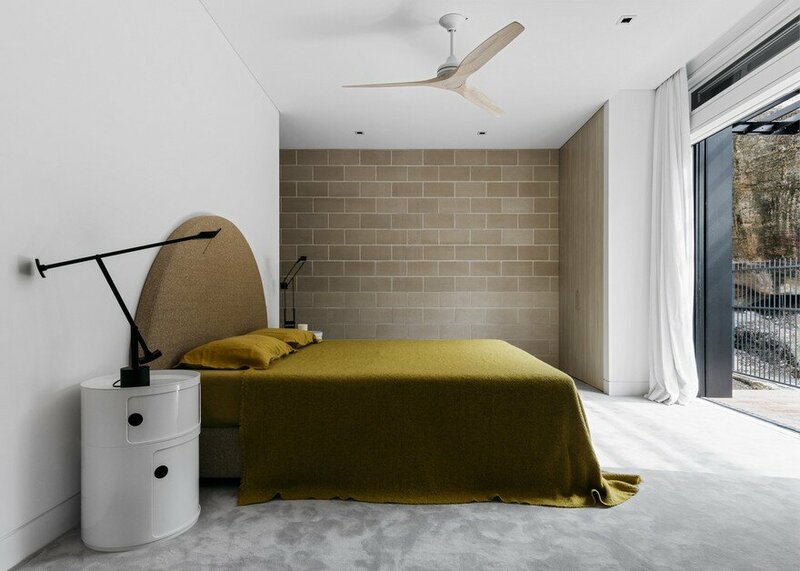 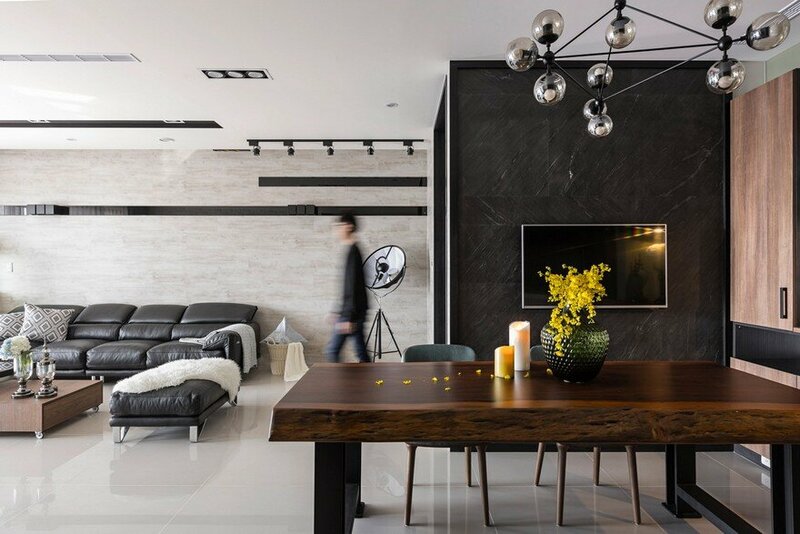 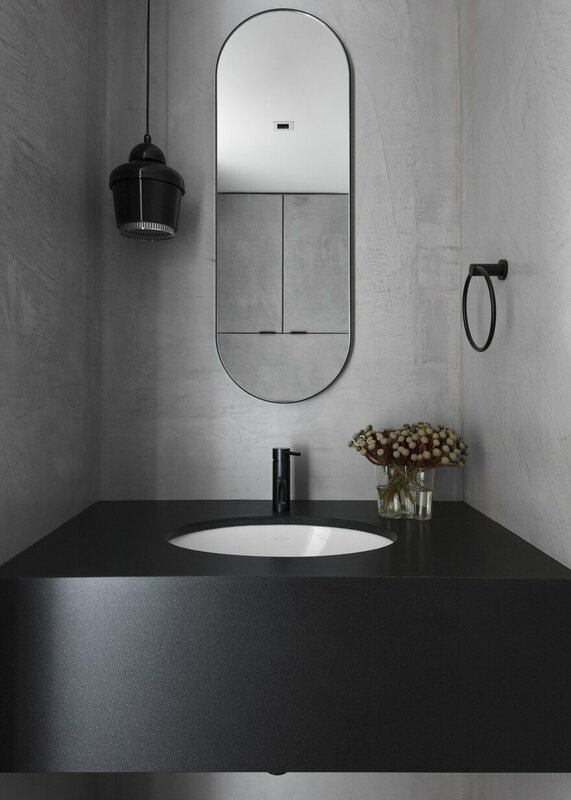 The end result is a residence with simple forms and high detail, providing a raw and refined sensibility.